Who would you talk to and what would you like to know? Does anyone have any specific curiosity about insiders view of the situation? I would love to have the story on Lady VFL Kyra Elzy. By any metric, Kyra is an accomplished recruiter and coach. Right after Holly took over Kyra was hired from Kentucky as assistant coach and recruiter. Soon after that Kyra was promoted to Associate Head Coach. But now Kyra is Associate Head Coach at Kentucky and I would love to know how that happened. Matthew Mitchell at KY is a former Lady Vols assistant and at least 2 former Lady Vols are on the staff. Kyra was very successful recruiting top-ranked players to UT. So was she upset about Cooper & Deshields? Did she feel her advice went unheeded to the detriment of the team? Did she just want to be away from Holly? What caused this Lady VFL to leave for KY. I would love to know what Kara, Tamika, and Candace really think from their playing for Pat with Holly as associate. Wonder what Micki DeMoss thinks? I realize these are virtually impossible. Former players and coaches would be very reticent to make their views public. But something about their silence - no public pronouncements of strong support - makes me wonder how they see the situation and any need for change? Too bad Haynesworth didn't play for the Lady Vols. You woulda had all you wanted and more. Kyra Elzy was defense, defense, and defense. Do we have it now? No. Meh. Sorry to rain on the parade, but what's the point of hearing gossip? She's not up to the job, and it doesn't take gossip to know that - at least if one is willing to see the obvious results of her tenure honestly. End of story. Really don't want her trashed, just gone. She' a VFL. Just not a good head coach. Fairly sure Elzy left because Holly thought she was to hostile to players. Expected more of them and wasn't afraid to get on to them if they loafed. Holly even said that she wanted a change because wanted someone who would be nicer to players. DeMoss and Holly were not on good terms even when Pat was still coach. I think they shared a different approach to what the work ethic of players should be. Finally it is obvious that this coaching staff can't develop players. Which of the freshman are better now than when the season began. Maybe we'll see some improvement next season as a group 190 of 510 from the field for 37 percent they should be getting better as season nears end not happening. If this is true then no wonder its this bad. Having a so-called Safe Space culture is only going to produce a bunch of lightweight pansies. This was the case during that 6 game losing streak, not hustling, rebounding, no physicality or very little. Not a coincidence! From what i hear Elzy was was not hostile but was blunt and was telling the players face to face and i agree. Holly please was to soft as she is now. Totally Agree. Holly thought she was hostile from what I hear. I agree she was trying to make the team better. Add Diamond DeShields to my list. I think she has led a very interesting, eventful life. GOSSIP? idle talk or rumor, especially about the personal or private affairs of others: the endless gossip about Hollywood stars. light, familiar talk or writing. GOSSIP is essentially unconfirmed rumor from uninformed people with no first hand knowledge of a situation. Far from "raining on any parade", you simply miss the intention completely. I am interested in first hand information and impressions from those intimately involved with the situation. Why did Kyra leave? What happened? How does Andraya - a player recruited by Pat who was a Lady Vol prior to becoming a Lady Vol - view the relative ability as discussed by the players in her first 2 years. Players who came in to play for Pat but got stuck with Holly. Players like Izzy, Bash, Simmons, Burdick, Jasmine, Ariel, & Kamiko. What did they experience? What changed for them? Holly was around for a long time prior to the 2012 -13 season so what were these players impressions. I couldn't care less about any gossip from those uninvolved - but I would love to hear from the players and coaches who were there during the change to get their honest opinions on why Holly has failed so miserably despite the caliber of the recruits. Kyra Elzy would be the most informative I believe - having played for Pat when Holly assisted - then coached with Mitchell - then came back to UT as Holly's assistant promoted to associate head coach - and then for some reason I would love to know - departed back to Kentucky. That's nothing like gossip and your "rain" is nothing but mist. 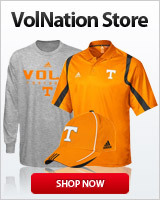 Thank you Volfan 2012 - very interesting information. I assume you have a source with 'inside information'? Or is there an account of this posted somewhere online perhaps? I don't intend to put you on the spot and what you say seems right to me. This makes Holly's pronouncements all the more delusional. Complaining about focus and effort yet refusing to enforce any behaviors that lead to toughness. Thanks for that - any more? Well, you sure burned me. The mist part was really creative. Semantic hair-splitting aside, unless you’re CPF or someone that actually can do something with all this stuff you want to know, it’s gossip. And the most likely destination of it is here. For what purpose? Again, VFL, doesn’t need to be trashed, just needs to be replaced, and don’t give a damn about your idle curiosity. So sorry I cannot assist you with your fundamental misunderstanding concerning the nature of gossip vs essential inside information from people intimately involved with the team and coaching dynamics. The purpose? - knowledge, certainty, - learning from those involved the elements that make a coach successful or a failure. A coach with decades of first-hand experience at the right hand of the greatest. On the surface of it, an all-star guard with all that experience should have a huge advantage. Even if first-hand experience & mimicry was the only asset available, this spiral toward record-setting futility should have been avoidable. The results are somewhat stupifying, indicating a degree of incompetence beyond expectations. Any insight from people who have been close enough to experience the dynamics with time to reflect on what has gone wrong should be valuable as a lesson in what to avoid. I can fully understand 'not giving a damn' - but why reply at all if that's the case? And my curiosity is anything but idle. I am extremely interested in why Holly failed and I suspect a number of fans share that curiosity. A suspicion given substance by the very nature of this "forum". Excuse my aversion to your casual put down. I will never get used to people who cannot simply ignore what they find immaterial. What is it? Do you think the internet will break from too much "curiosity" idle or not? Reading comprehension is definitely not your strong suit. Dissecting her every misstep will lead to her being trashed. I’d personally prefer she not be trashed. It’s no more complicated than that. Done. Look who is over here slummin' with the free forums...…...let me make it easy for ya Bass...…………..Holly can NOT Coach and could neve Coach. It is pretty simple really. You can add all the verbiage you want...……….She fell into the job and SUX at it. It is TIME! Holly is worried about being nice, that is an issue all to itself. It is like worrying about your children being your best friend and expecting them to listen to you when you try to discipline them. Players need to be disciplined and called out when they are not doing the right thing. Holly will never be able to be even a top 25 coach if she spends time worrying about being nice to players. I think you worry more about fairness. That is probably the major reason her players are poorly developed and never progress much past their freshmen year. The AD needs to cut bait and get a real coach who is more worried about the future of the Lady Vol program instead of worrying about making every player happy. We have as many five stars as any team in the SEC, however, we are near the bottom of the SEC. That is ridiculous. My memory on these cases may be fuzzy but there was public information. I believe Cooper was dismissed for getting into a fight with Nared (on top of a prior history of infractures). The dismissal decision was made by the University not the coaching staff per se. I believe that Middleton's transfer was related to this intra-team tension. Hayes was similarly dismissed for disciplinary infractions. As for Kyra, wasn't the story that she did not fulfill her responsibilities on the recruiting side, which was supposed to be a big part of her job? Recruiting took off once she was replaced. There are a lot of good reasons to fault Holly but I am not sure that these situations fall in that category. There must be a truckload of invisible duct tape somewhere. Boggles the mind. Not much could have been done about Te'a and Annie once the deed was done. However, I wonder if a stronger leader would have prevented the Te'a situation from escalating to what it did, as well as drilling into Annie's head what the consequences of her actions would be. Alexa is a different story. She transferred because she did not believe that Holly had the same expectations of her as other players. She said so herself. Reading between the lines is not hard. She didn't believe she was getting the right coaching. Where would you possibly get the idea I would disagree with the fact: Holly can NOT coach? YES it's way past time for her to retire. - Your post shows complete inattention to this 'discussion'. There is ZERO support for Holly from me - hasn't been since prior to her selection. I wanted Nikki then. So WTF are you thinking? Or are you? Right on target AMB3096 - the atmosphere where this kind of thing could happen is created by the inattention of the staff. The women's team is an insular unit protected from contact with those outside the program. Their entire lives are locked up in closed practice, special tutors and study halls, travel, rooming together, athletic dorms or places where they live together. This is a fishbowl where health, studies, nutrition, and contacts are all closely monitored. Friction between players is always possible - the best coaches understand how to keep a lid on volatile situations. Competitive athletes can be expected to have more than average drive and aggression. The T'ea situation was critical - not only due to her PG ability but the relationship with Diamond that led to the loss of both. I don't care who said or did what - athletes who have the fire and desire to compete can have a difficult time with anger management. But these situations are common and should be expected. A staff (head coach) who fails to anticipate potential problems is begging for trouble. I would take 10 T'ea's and Diamonds with fire and desire ready to fight to win. Diamond made the decision to return to play another year saying her desire was to return UT to the NCCAT championship. When T'ea was dismissed Diamond was upset enough to forgo her last year of eligibility. She understood her desire to help a championship drive was a victim of Holly's inability to keep T'ea on the team. These are reasons I would love to hear from KYRA and Draya - What happened specifically? Reading comprehension is definitely not your strong suit. Dissecting her every misstep will lead to her being trashed. I’d personally prefer she not be trashed. It’s no more complicated than that. Done. And yet you persist in extending the life of this thread with ad hominem attacks?